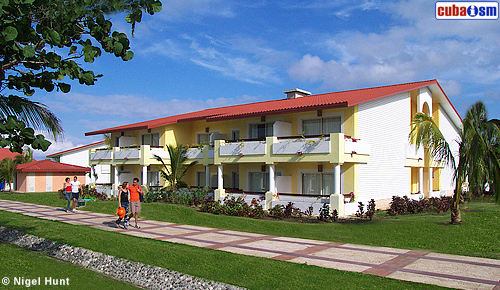 Takes their name Hotel Playa Pesquero of the wonderful environment that surrounds it, it occupies an extension of 29,4 hectares and it highlights the total protection to the environment, as well as to the flora and fauna that transform to the environment into a challenge to natural beauties that mark the limit of the inconceivable thing. This pride of the tourism in Cuba was built in 24 months and Inaugurated January 21 2003 for the President of Cuba, Fidel Castro. The topic of the railroad, represented fundamentally in a good conserved locomotive that is in front of the main entrance, it recreates the history of Cuba like fourth country of the world and first in Latin America in having enjoyed that means of transport. 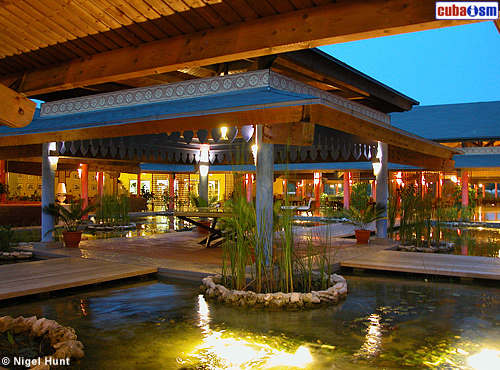 It is, also, a legend that is present in all the areas of the hotel and it offers him to it another special touch of distinction. 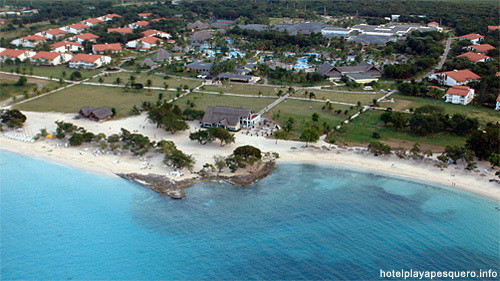 The Hotel Playa Pesquero is a 5 stars, the "All Inclusive" biggest of the Island and the only one with a city boulevard. 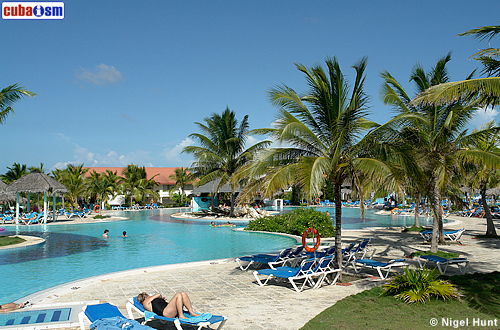 Built as a complete town, a tourist city, the Playa Pesquero (Fishing Beach) invites to the enjoyment, to the rest, to the bathrooms in the sea, to the Caribbean rhythms, to savor the good kitchen or to taste a mojito submerged in the immense pool. 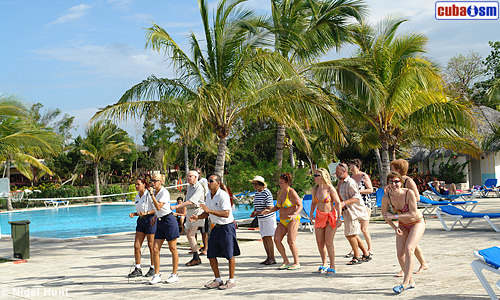 Even, friends' groups or families will discover in the Hotel Playa Pesquero the ideal place for their vacations, the most similar thing to the earthly paradise that can visit one another and to enjoy, surrounded of romanticism and of a Nature that captures who arrives looking for an eddy of peace. "I like to greet you with my best SMILE, a smile costs little and takes place a lot. It doesn't impoverish who gives it and it enriches who receives it, it only lasts an instant and it lasts eternally in the memory".